We are broadly interested in research at the interface between biological and physical sciences. Currently, our research centers around two research themes, namely the physical modeling of structurally known photosynthetic systems and the study of model systems for magnetoreception in animals. Photosynthetic systems are known in atomic resolution for a number of species. They provide a unique challenge and opportunity for physical modeling, because they are among the largest and most complex cellular machineries whose structure is known. We have made great progress in understanding how photosynthetic systems harvest sunlight by using quantum physics to predict all relevant energy transfer steps in the photosynthetic process. While the physical description was first developed for the photosynthetic system of purple bacteria, we have recently applied it successfully also to photosystem I of cyanobacteria, demonstrating the transferability of the physical modeling approach between different biological systems. With the gained conceptual understanding of the light harvesting process, we can now study how to design (artificial) systems with higher efficiency or higher protection against photodamage. 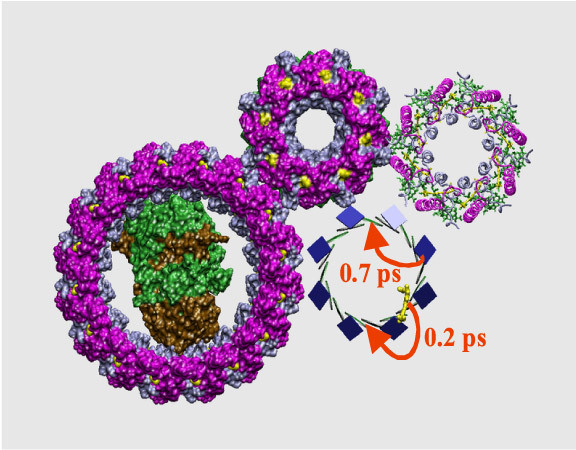 A new field of study is the question how subunits govern the size and shape of protein assemblies, a question that is of great relevance to the assembly of protein machines in cells in general. 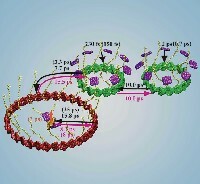 In studying this question, the circular light harvesting complexes of purple bacteria are an ideal model system, because they self assemble from identical subunits into rings of different sizes for different species and atomic resolution structures of three ring complexes of different size are known. In the longstanding problem of how animals perceive the magnetic field of the earth, we use electrodynamics and spin chemistry to analyze which potential primary reception mechanisms are sufficiently sensitive to detect the weak geomagnetic field. These studies led us to propose a new chemical mechanism for magnetic compass orientation in animals. We are currently investigating and collaboratively designing experiments to verify this idea that could solve a very fundamental problem in sensory biology.